your Browser is too old to play this video, sorry! 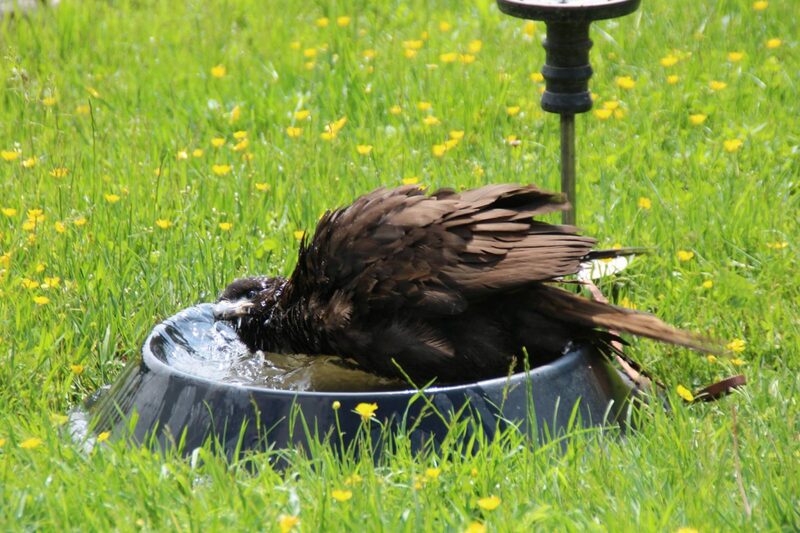 For millennia, humans have used the extraordinary abilities of birds of prey in their use for hunting. 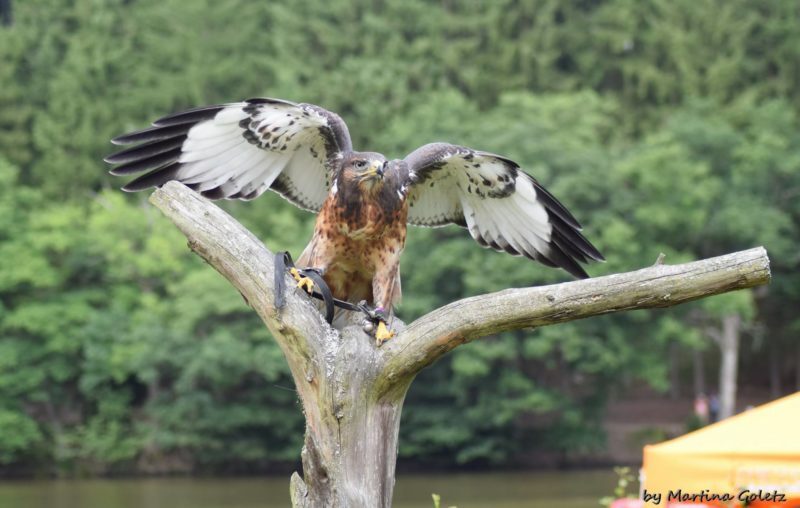 In our park, the falconry exclusively serves flight demonstrations to familiarize our visitors with these beautiful animals and their flying abilities and to provide valuable information about birds of prey. The flight demonstration has made you want more? 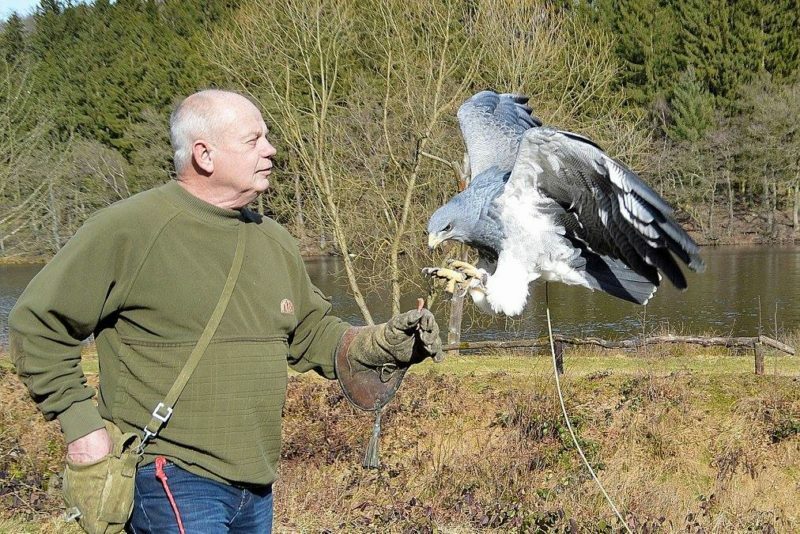 With a very personal experience – face to face with our birds of prey – you can make that come true! The own glove is handed over and the falconer knot is learned as one of the most important basics! The weighing of the birds and cleaning the aviaries is of course also part of it. With a bird of prey on the glove we take a walk through the park, the so-called manning as an essential part of falconry training. 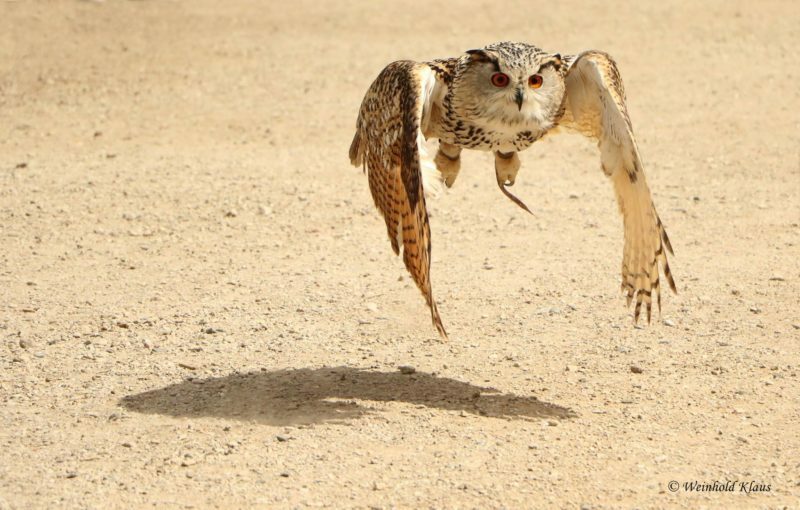 With flight exercises of a bird of prey, where he lands on your own glove, the eventful day reaches its peak. As a reminder, there is of course a certificate of participation in “falconer for a day” and your own glove! You can book this unforgettable experience for 129, – € ! What do you have to do? Just download the registration form or collect a form at the reception and fill it out. 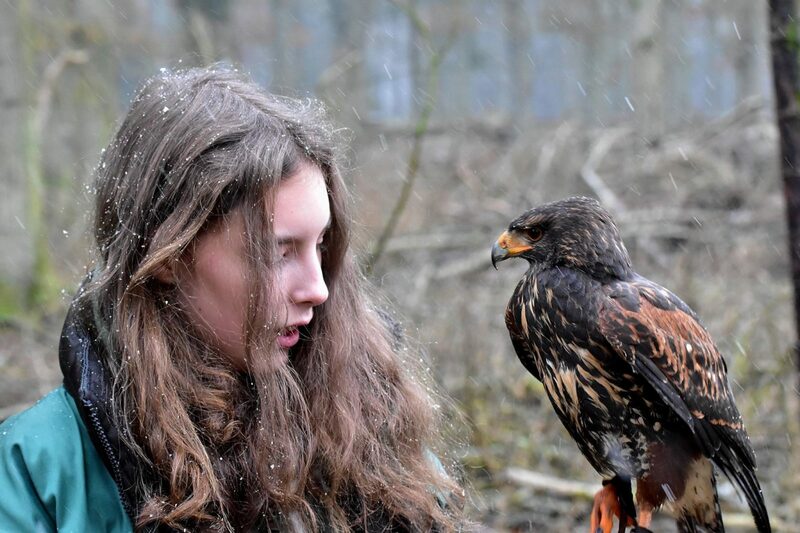 Falconer for a day can be experienced live from the age of 10! 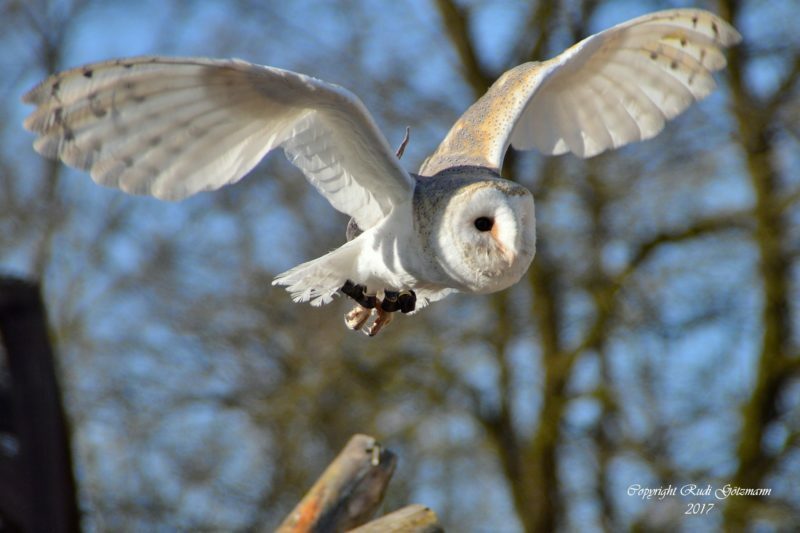 Become godfather of a bird of prey or an owl! 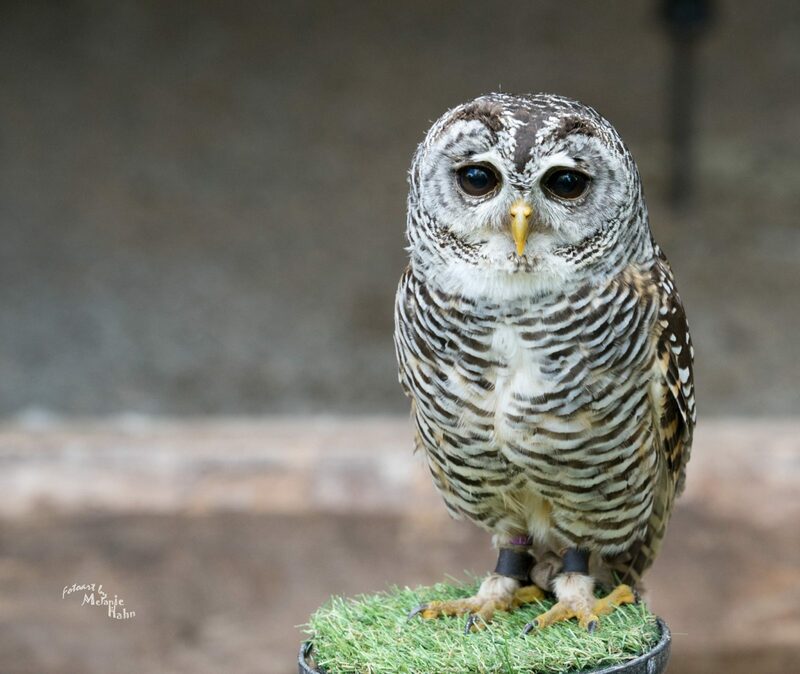 We offer sponsorships for all our birds of prey and owls. The contribution is based on the respective feed costs of the bird. The duration of the sponsorship is 1 year. It starts at 35 € for a laughing kookaburra up to 240 € for a golden eagle. Die Termine bzw. Uhrzeiten für das Greifvogelflugprogramm und die Wolf- und Luchs-Fütterung erfahrt ihr auf der Tafel neben dem Kasseneingang oder telefonisch unter 06764-1205. Bei sehr heißen Temperaturen findet keine Flugshow statt!